Looking for one of the best remote control tools? Not so long ago, remote management was affordable only for big companies. Licensing was mostly per device / user. At that time, VNC became extremely popular. VNC server / clients was free. Once Windows Vista was released, VNC solutions had problems, and needed time to evolve. start menu and listing of open programs was also problematic. really appreciate – remote push. and second later you are connected to computer. 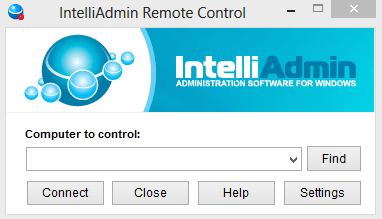 How is IntelliAdmin Remote Control in use? Lets take a look at the program. 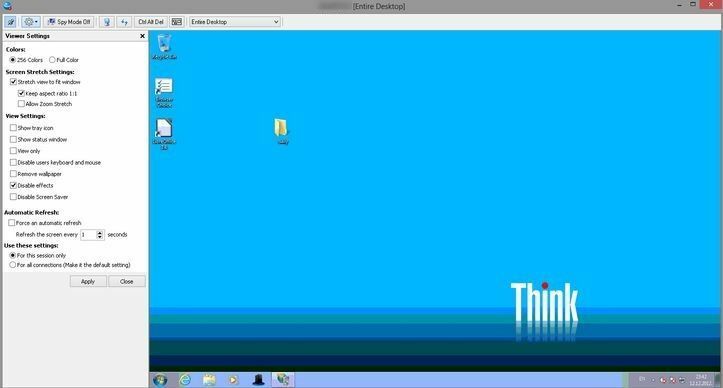 UI is very simple, just enter the name of computer and connect. 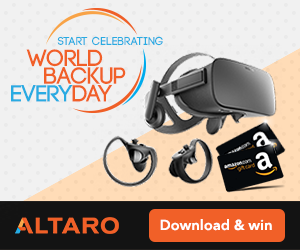 you don’t have to enter credentials every time. a list of computers that are on the network. There are many settings that enable you to make it work for your environment. 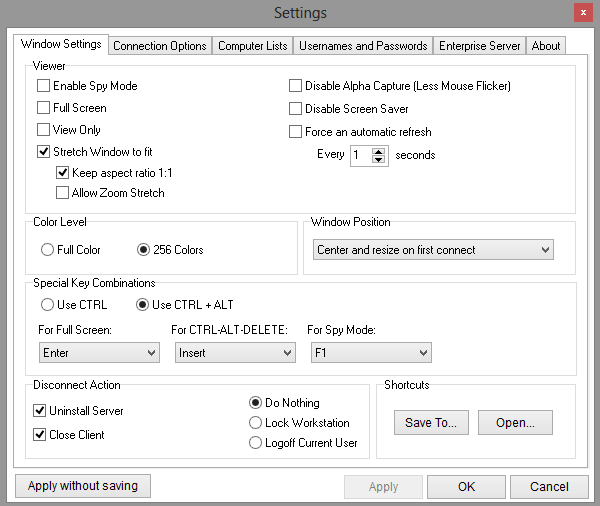 Your client can know that you are connected to their computer or you can enable spy mode, in that case they will not. 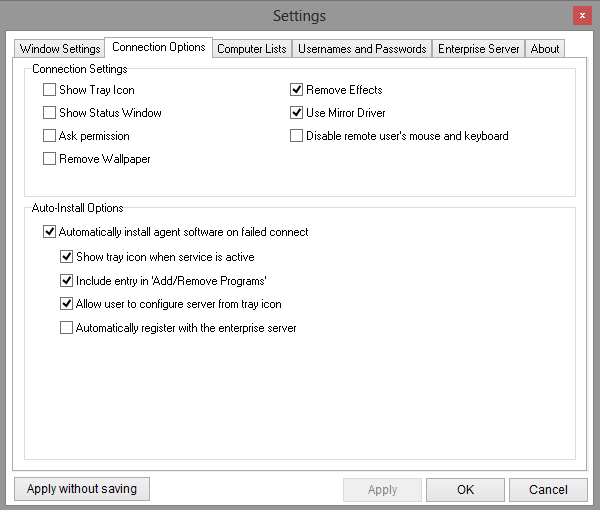 Another feature is that if you connect to remote desktop server, you can easily select users session and log in. your users where ever they are, without additional monthly fees or per user pricing. It works through firewalls so you don’t have any problems with configuring firewall. 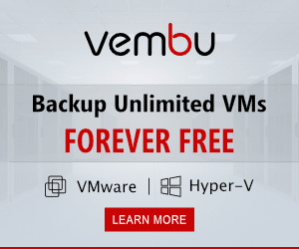 Upgrade protection $35.00 per year per administrator. It works quite well, it has minor bugs though. if you use keyboard layout other than English, English layout will be set on the client. Sometimes server push does not work, but the second or third time it will install the server. Also sometimes it would not connect to client, but second or third time it will. But if it has this problems, why do you use it? and provide you with a fix, and soon next version is released with included fixes. All in all, product is reliable and problems mentioned will be resolved soon. Not long ago, there were none, at least for this money. $100. For less than half the money you get similar features. sells for about $380, but has more features than the mini. I will do review in the near future and compare it to IntelliAdmin. You can click here: Intelliadmin to visit product page. I hope you found review helpful, until next time – take care. Update 22/8/2013: After 8 months of use I say that updates made this product very solid, I think I will stick with it.